See links to Racing resources at bottom of this page. Contact Racing Director for any questions. * Skippers register with SCOW for boat assignments and also register and pay with regatta organizer. Magellan Race NOR/SI and course information below. SCOW Team Racing consists of 2 boats vs 2 boats sailed on Flying Scots. In any race, the team that does not have a boat finish last, wins the race. Looking for a Fun Lifetime Sport? Race With SCOW. Sailing is truly a lifetime activity. Once you learn how to sail, you have a lifetime skill that you can enjoy and share with friends and family. You never stop learning. Sailboat racing is a sport in which people of all ages can compete and excel in the same game under the same rules. It is one of the few sports in which men and women, young and old, can compete against each other directly, on an equal footing. If you are looking for a sport you can play for the rest of your life, that's also highly social and team oriented, then come join us on the water. Contact the SCOW Racing Director at Racing@scow.org to get started. 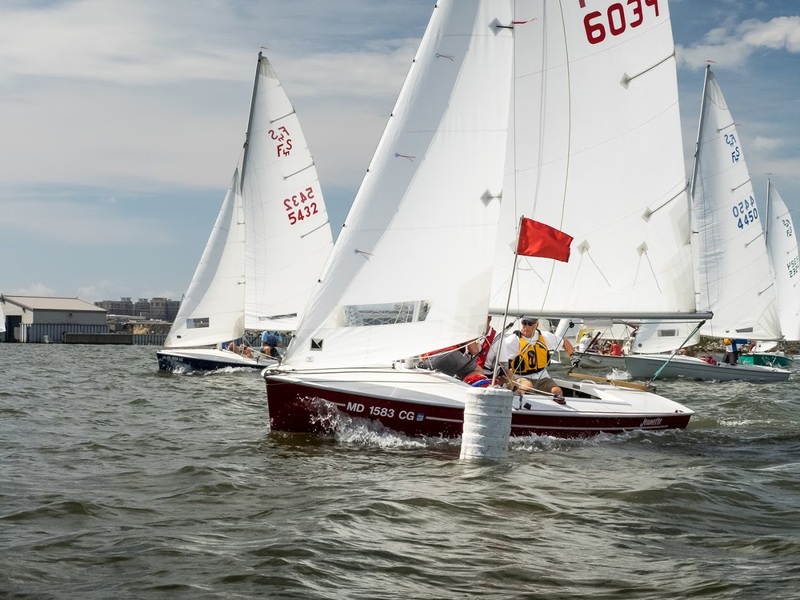 You must be a SCOW member to race as skipper or crew on a club owned boat. 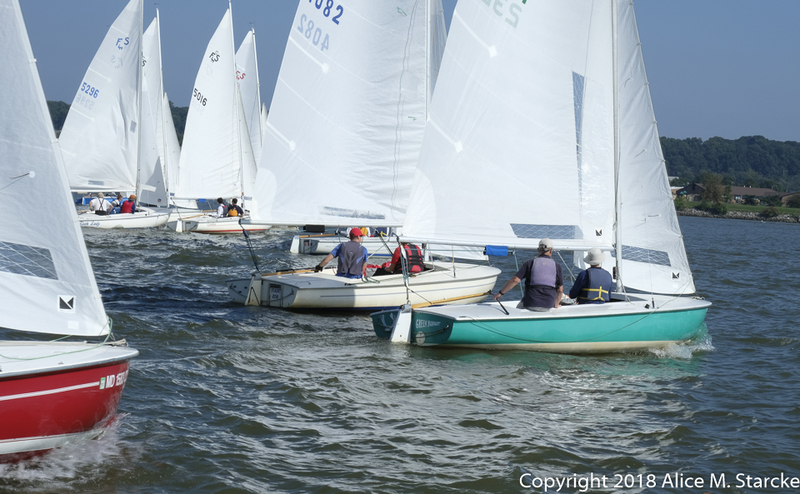 We encourage sailors of all skill levels to participate in racing events to learn and have fun. Many SCOW members learn to race with us, which opens up all kinds of racing opportunities for them in our region or around the country. 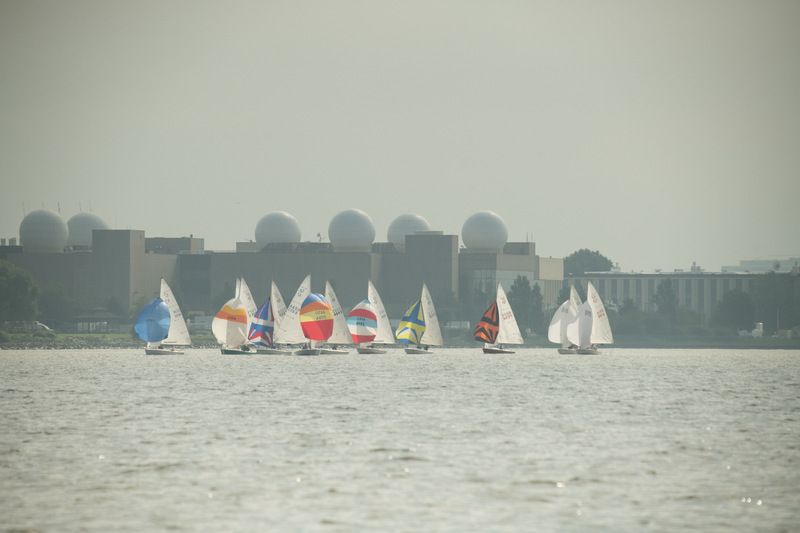 Safety, fun competition, and good sportsmanship are the hallmarks of the SCOW racing program. No racing experience is needed to crew on a boat during our Wednesday night informal races or to assist on the Race Committee for our Series races and regattas. Many of our members actually learn to sail by crewing on Wednesday nights. Please contact the Racing Director regarding opportunities to race or to serve the club by supporting the racing program. As an all-volunteer sailing club, everything we do relies on club volunteers, including conducting our racing seminars as well as running our own races and clinics.